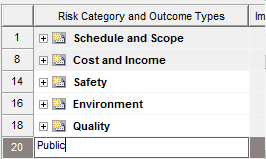 To add a risk category, click in an empty row under the existing risk categories and type in a category name. 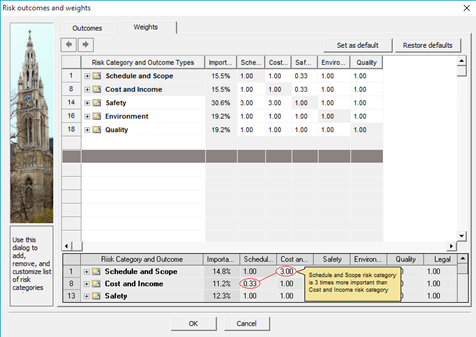 This will add a risk category, which is also referred to as a risk outcome in the documentation. However, the system has flexibility to add more than a single impact or outcome type for each category. 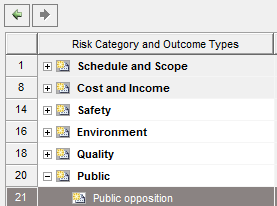 So under the Risk Category, you must add at least one outcome type. This outcome type is a child of the risk category and must be indented to show this relationship (similar to summary and subtasks).